W******hat is the relationship between the mind and the brain? In Living in a Mindful Universe, Dr Eben Alexander, author of the international phenomenon Proof of Heaven, shares the next phase of his journey to understand the true nature of consciousness and how to cultivate a state of harmony with the universe and our higher purpose. 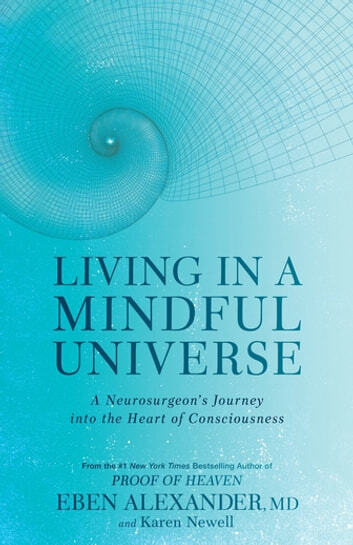 When eminent neurosurgeon Dr Eben Alexander experienced a startling near-death experience, he was plunged into the deepest realms of consciousness and woke a changed man, certain of the infinite reach of the soul and a life beyond death. 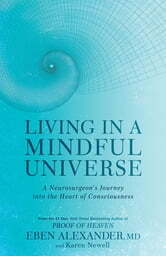 In Living in a Mindful Universe, the #1 New York Times bestselling author of Proof of Heaven and The Map of Heaven shares the next phase of his journey to understand the true origins of consciousness and uncover ways to cultivate a state of harmony with the universe and our higher purpose. Questioning, thoughtful but also practical, Living in a Mindful Universe demonstrates how we can tap into our greater mind and the power of the heart to enhance many facets of our lives, including healing, relationships and creativity.